Like fashion, car lights are all about seeing and being seen. But whereas on the catwalk it is all about show, on the open road it is a matter of life and death. "If you don't see correctly, then the other aspects of safety, such as brakes, are less effective as they come on later," says Dominiek Plancke, general manager of automotive, Philips Lighting. "In Germany, for instance, you could save 18% of the lives lost in traffic if all cars were equipped with Xenon headlights," he says, referring to a study by technical services firm TUV Rheinland. But it is not only at night that lights save lives, according to the European Commission, which believes that up to 2,000 road fatalities could be prevented each year in Europe, simply by making daytime driving lights compulsory. Critics insist efforts to do so are motivated by a greedy industry eager to sell more lights and light bulbs. They say modern lights risk blinding other motorists and might draw attention away from pedestrians and those on two wheels, thus making it more dangerous for them. The UK in particular was opposed, as "motorcyclists in Britain have a habit of using headlights during the day", observes Peter Rodger, chief examiner and head of driving standards at the Institute of Advanced Motorists. But in spite of vocal opposition, just under a year ago, on 7 February 2011, the Commission made it compulsory for all new cars to be equipped with daytime running lights that switch on automatically when the engine is started. The same will be the case for new trucks from August 2012. As yet, only a tiny proportion of the cars on the road have daytime driving lights fitted, and currently only 17% of new cars are fitted with Xenon headlights. In other words, it could take decades before the number of deaths on our roads is reduced as a result of better car lights - or indeed before the number of bikers hit in so-called Smidsy (sorry, mate I didn't see you) accidents increase as a result of them becoming less visible in traffic. In the short term, drivers keen to see the road ahead better can fit extra bright light bulbs that offer 80% more light than ordinary halogen ones, or even Xenon upgrade kits that deliver some 300% more light - although not all Xenon kits are road legal. 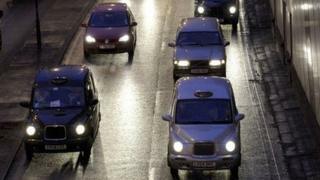 For the UK, the Department of Transport has issued guidance on fitting HID Xenon headlamps. But with bulbs costing up to £85 each, it seems unlikely that we will see a massive upgrade wave anytime soon. High cost is also the main reason why ultra-modern solutions that use more bluish LED systems remain largely the preserve of luxury carmakers such as Audi, which first introduced such lights on its R8 supercar in 2006. At a recent Audi event in Gloucestershire on a gloomy winter's day, it is obvious that such LED lights do more than just improve the visibility from within the car, however. They also give the car a very distinct look. "It's now become part of the exterior design of Audis," says Jon Zammett, the carmaker's head of communications in the UK. These "high-end solutions" are ideal for carmakers that want to stand out, according to Mr Plancke. "They go for it, but they pay for it as well," he says. But costs are coming down, and consequently LED lights are gradually moving into the mainstream. Toyota, for instance, is one of several carmakers working closely with lighting manufacturers to develop so-called "smart" light solutions. A demonstration of the technology at Toyota's global research and development centre in Higashi Fuji, Japan, shows how tomorrow's lighting systems use cameras to spot oncoming cars, thus dimming the headlights. "To the meeting car, it looks like an ordinary low beam," explains Toyota's chief safety technology officer Moritaka Yoshida. The cameras also spot pedestrians early, before targeted beams of light make sure they are clearly visible to the driver. "The idea is to not only make the car's occupants safe, but pedestrians too," Mr Yoshida explains. LEDs can also be used together with satellite navigation systems, which means the car will know when it is about to enter a crossroad so it can get ready to illuminate it properly. And using LED brake lights can help prevent accidents between cars travelling in the same lane, as they come on a split second earlier than ordinary brake lights, according to Mr Plancke. "You will save 10m of braking time at 90km/h (56mph)," he says. Regardless of whether modern lights have been developed to see better or to make cars more visible, they all require much less energy than conventional lights. LED daytime lights, for instance, use just a 10th of the energy required by ordinary low beam bulbs. Hence, a car using LED lights during the day will use less fuel and reduce carbon dioxide emissions to the tune of 2.5gm per km - equivalent to a 1-3% reduction in emissions - when compared with a car that drives about with its low beam headlights on, Mr Plancke claims. This is particularly important in the more than a dozen European countries where daytime driving lights are compulsory. "The way to get lower overall emissions from cars is to chip away at percentages like that," says Audi's Mr Zammett. According to Mr Plancke, LED lights bring benefits to drivers, to pedestrians and to society as a whole. "It makes driving safer thanks to intelligent solutions, it offers more stylish solutions, and it is good for the environment as it consumes less energy, so it's a triple whammy," he says. How close are we to a crash-proof car?